Gartner forecasts smartwatch sales will generate $9.3 billion in revenue in 2017. Worldwide sales of smartwatches will total 41.5 million in 2017, bolstered by the relatively stable average selling price (ASP) of Apple Watches, according to Gartner. In a statement, Gartner says smartwatches are on pace to account for the highest unit sales of all wearable devices from 2019 to 2021. By 2021, sales of smartwatches are expected to total nearly 81 million units, representing 16% of total wearable device sales. Furthermore, the sales of all wearable devices will generate revenue of $30.5 billion in 2017. Of that, $9.3 billion will be from smartwatches. "Smartwatches are on pace to achieve the greatest revenue potential among all wearables through 2021, reaching $17.4 billion," says Angela McIntyre, research director at Gartner. "The overall ASP of the smartwatch category will drop from $223.25 in 2017 to $214.99 in 2021, as higher volumes lead to slight reductions in manufacturing and component costs, but strong brands such as Apple and Fossil will keep pricing consistent with price bands of traditional watches," she adds. 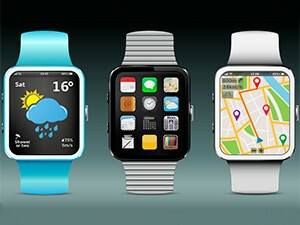 The research and advisory firm expects Apple to continue to have the greatest market share of any smartwatch provider. However, as more providers enter the market, Apple's market share will decrease from approximately a third in 2016 to a quarter in 2021. Gartner expect other consumer electronics brands, such as Asus, Huawei, LG, Samsung and Sony, to sell only 15% of smartwatches in 2021. The two sub-categories that Gartner expects to perform well are kids' smartwatches and traditional watch brands, which will emerge as significant segments for smartwatches. Gartner expects kids' smartwatches, which are targeted at children in the two- to 13-year-old range, to represent 30% of total smartwatch unit shipments in 2021. The other sub-category, which will account for 25% of smartwatch units by 2021, consists of fashion and traditional watch brands, notes McIntyre. "Luxury and fashion watch brands will offer smartwatches in an attempt to attract younger customers."